Nylon and/or polyester and/or natural fibres prebonded and resin-coated based on specific technologies thus obtaining abrasive and no scratch fibre with different abrasiveness levels, several thicknesses and a wide colour range also on demand based on pantone code. 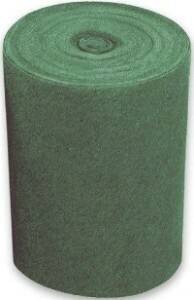 Rolls of abrasive and no scratch fibre in several sizes. The fibre is wrapped around a cardboard core. Film wrapping upon request. Wheels of abrasive and no scratch fibre in standard length 3, 5 and 6 meters and customizable width. Packing options: in film and carton box. Sheets of abrasive and no scratch fibre in different sizes. Variable length declined on a standard width of 1 or 2 meters. Product supplied in parcels. 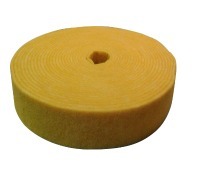 Pads of abrasive and no scratch fibre in various sizes. Available in an extensive colour palette and die-cut shapes. Packing in carton boxes or packs.